What I’m going to say here may sound strange, even perhaps ludicrous to some while being accepted at truth by others. 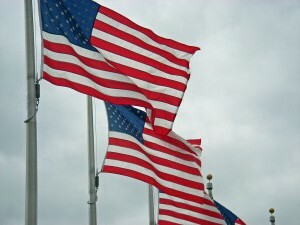 I submit that the American flag is a sacred symbol, indistinguishable from the people and nation it represents. It is more than a national logo, more than a patriotic image on cloth. Every physical manifestation of it is a sacred relic, revered by those who believe in what it stands for. Similar to the Christian crucifix, it is an object not to be worshipped, but to be respected and venerated by those who subscribe to the ideals it represents. One does not have to love everything that is going on in America today to love it. I don’t know any American who thinks the country they live in is perfect as is. We have on occasion fallen short of our American ideals. We as fallible human beings make mistakes, bad decisions, and fall to lesser wants and desires. The flag though, is not a symbol of our failures, but a physical representation of our founding principles: Life, Liberty, and the Pursuit of Happiness. It is all those virtues that we aspire to as a people distilled into one beautiful image. The notion that people have fought and died for that flag I’m sure seems like nonsense to some. They cannot grasp that an object made of red, white and blue cloth can have such meaning. The idea of dying for a cause, let alone a flag seems absurd to them. What they don’t understand is that the flag embodies everything patriots love about America, that it is in a very real sence, America. They don’t see the flag that has flown over Ft. McHenry, or raised on Iwo Jima, or placed on the surface of the moon as anything other than an object. They have not been taught that America in an exceptional country. They don’t see the inspiration that Francis Scott Key took from it as it outlasted a British assault. They don’t understand what it took for those Marines and Navy Corpsmen to raise it on Mt. Suribachi or what it meant when they did. They don’t understand that it took the greatest country on earth to place it on the moon. Some Americans walk, stomp, or otherwise desecrate it, not understanding what a supreme act of self-loathing these demonstrations are. They don’t understand the connection between it and them, that it does not represent some remote other, some far away government, it represents themselves and all Americans. 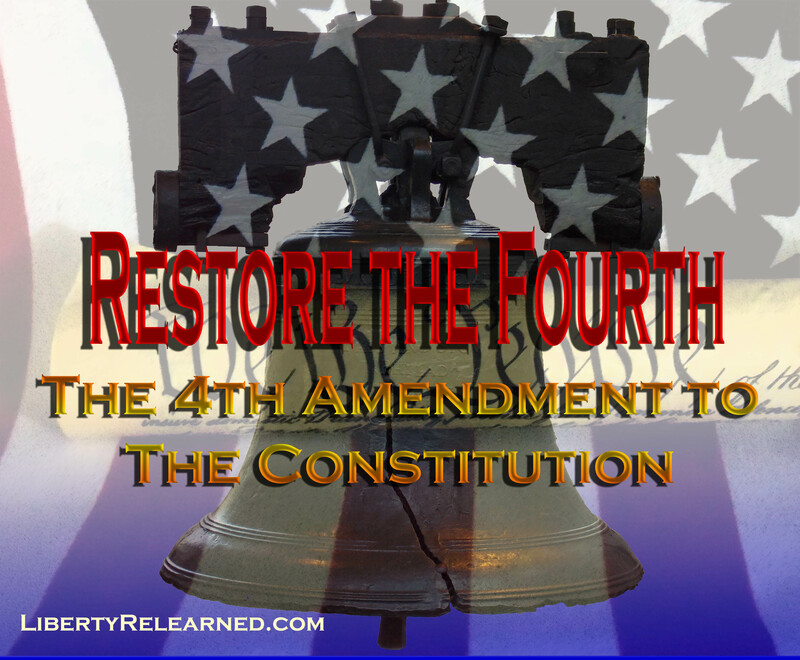 They should instead be acting on a determination to bring the imperfect America they see a little closer to the America that could and should be, the America our founding fathers wanted for us. 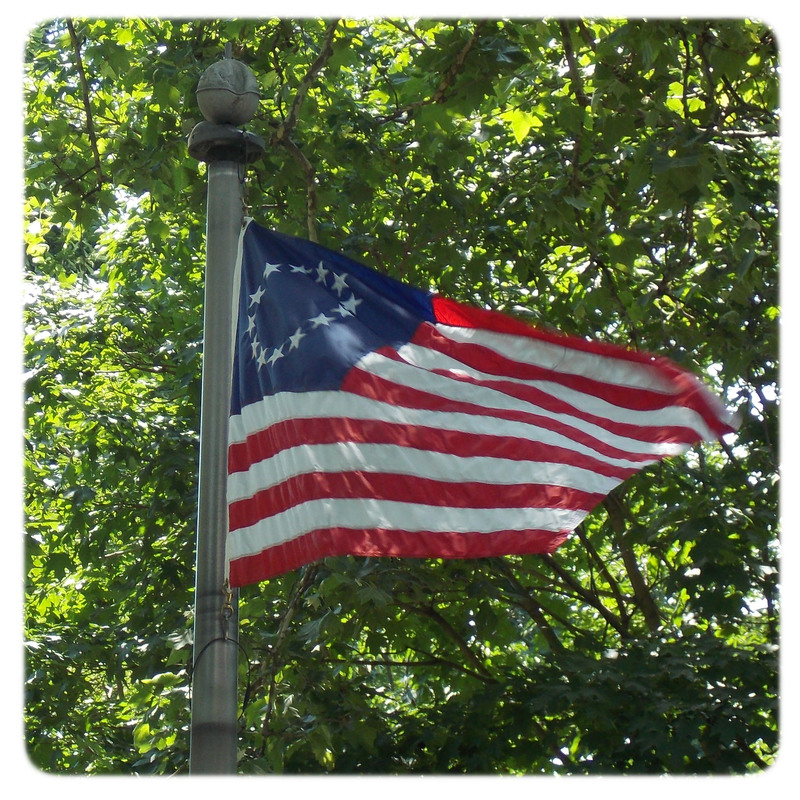 The “Betsy Ross” flag, approved by the Continental Congress in 1777.